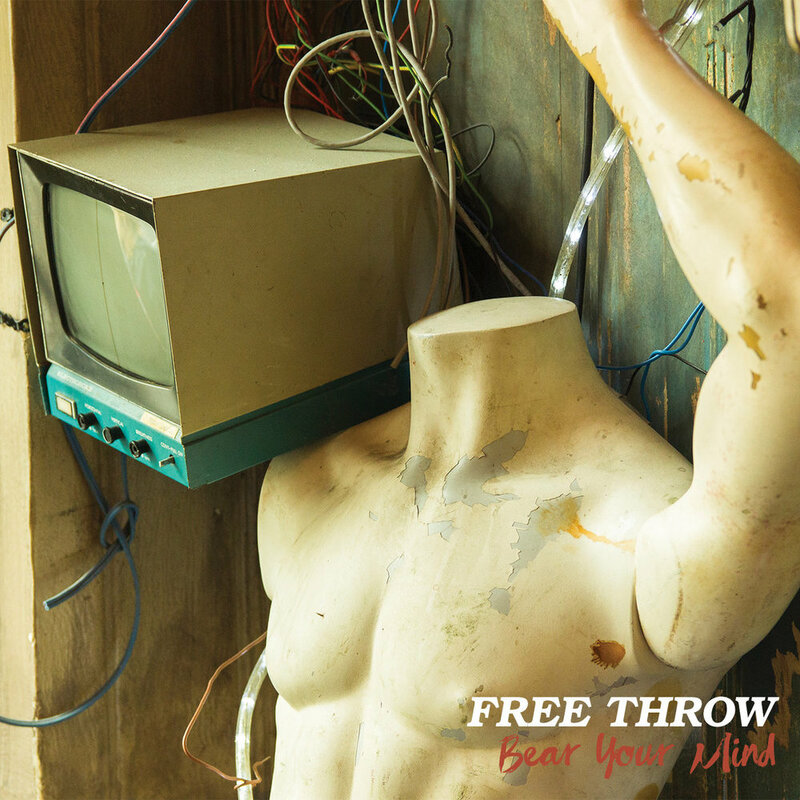 Bear Your Mind, the second full length album from Nashville-based emo band Free Throw, feels like taking a breather down the block on a humid summer evening with gravel under your sneakers, chain-link fences at your back, and overcast skies above. Unfocused yearning without too much sentiment, a melancholy peace. Each song on Bear Your Mind has something to offer, be it the airy tones in opening track "Open Window," the gritty emotion of the lyrics in "Rinse. Repeat." or the nuanced but familiar melodic drive of "Better Have Burn Heal." The lyrics, always confessional, range from the raw, straightforward heartache of "Rinse. Repeat" ("From the front seat of your car / you told me love is not that hard ... Do you remember the time that I got drunk in my backyard / on my birthday and I told you / what you'd done had gone too far?") to the more subtle but no less powerful moment in "Dead Reckoning" when the vocals dive into: "I remember the summer, the pain on my mother's face as she sat me down and tried her best to explain ... I tried my hardest to remember what we'd spoken of last / No amount of effort I don't think can bring a memory back." With vaguely ethereal moments reminiscent of Explosions in the Sky and God is an Astronaut, and vocals/lyrics in the vein of Manchester Orchestra and Aaron West and the Roaring Twenties, Free Throw puts forward a mature album that inspires multiple listens and creates anticipation for follow-ups. You can stay up to date with Free Throw on Facebook.